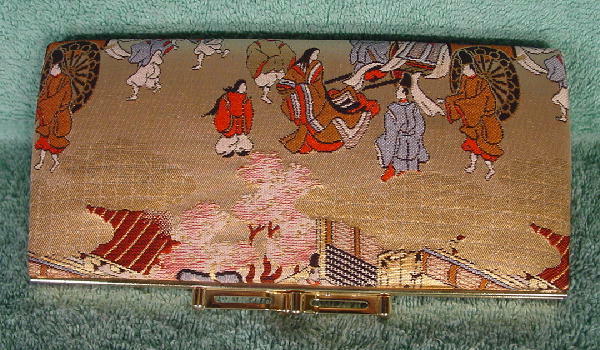 This vintage mini clutch has a pale golden-bronze fabric covering. 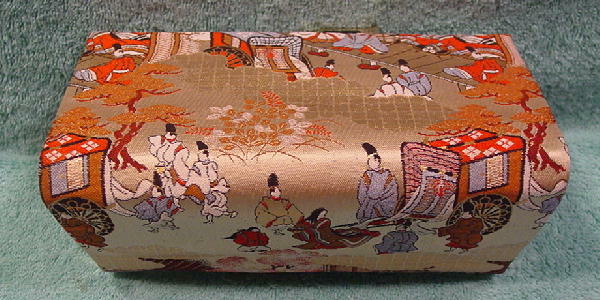 Some of the Asian design pattern is tone-on-tone. The thread designs are of people, trees, leaves, carriages, leaves, etc. 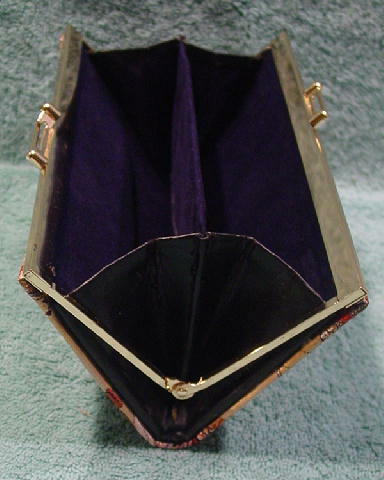 It has a gold-tone metal rim and elongated bypass closure. The interior is in a navy blue brushed cotton with a center divider. The black leather exterior edging and exterior panels are flaking. 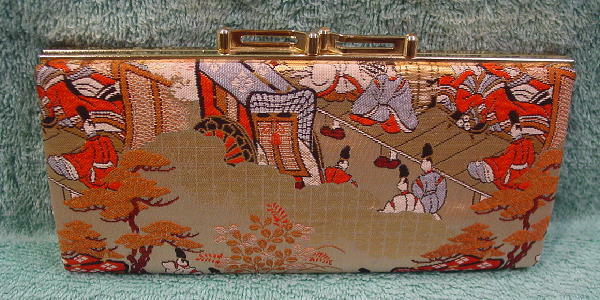 It will hold a thin mirror, eye and lip pencil, credit card and separate keys. Because of the center divider, a cell phone won't fit inside. It's from a former Asian model.